If you ever get the opportunity to do so you should visit the City of Cork but Don’t visit this week as the city will be locked down for the Queen of England’s visit in one of the security operations the city has ever seen. This coming friday The Queen and the Duke of Edinburgh will visit the English Market and UCC’s Tyndall research institute on the final leg of their four day state visit to Ireland. Cork was originally a monastic settlement founded by Saint Finbarr in the 6th century. 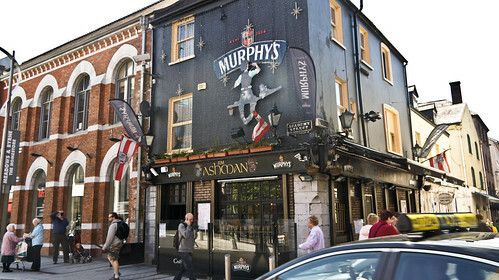 Cork achieved an urban character at some point between 915 and 922 when Norseman (Viking) settlers founded a trading port. It has been suggested by many historians that, like Dublin, Cork was an important trading centre in the global Scandinavian trade network. The city was once fully walled, and some wall sections and gates remain today. For much of the Middle Ages, Cork city was an outpost of Old English culture in the midst of a predominantly hostile Gaelic countryside and cut off from the English government in the Pale around Dublin. Neighbouring Gaelic and Hiberno-Norman lords extorted "Black Rent" from the citizens in order to keep them from attacking the city. The Cork municipal government was dominated by about 12–15 merchant families, whose wealth came from overseas trade with continental Europe – in particular the export of wool and hides and the import of salt, iron and wine. Of these families, only the Ronayne family were of Gaelic Irish origin. The medieval population of Cork was about 2,100 people. It suffered a severe blow in 1349 when almost half the townspeople died of plague when the Black Death arrived in the town. In 1491, Cork played a part in the English Wars of the Roses when Perkin Warbeck a pretender to the English throne, landed in the city and tried to recruit support for a plot to overthrow Henry VII of England. The mayor of Cork and several important citizens went with Warbeck to England but when the rebellion collapsed they were all captured and executed. A description of Cork written in 1577 speaks of the city as, "the fourth city of Ireland" that is, "so encumbered with evil neighbours, the Irish outlaws, that they are fayne to watch their gates hourly … they trust not the country adjoining [and only marry within the town] so that the whole city is linked to each other in affinity"
The city’s charter was granted by King John in 1185. The title of Mayor of Cork was established by royal charter in 1318, and the title was changed to Lord Mayor in 1900 following the Knighthood of the incumbent Mayor by Queen Victoria on her visit to the City. In the War of Independence, the centre of Cork was gutted by fires started by the British Black and Tans, and the city saw fierce fighting between Irish guerrillas and UK forces. During the Irish Civil War, Cork was for a time held by anti-Treaty forces, until it was retaken by the pro-Treaty National Army in an attack from the sea. Forty years ago the United States withdrew from Vietnam where 58,000 Americans and an estimated 2 million Vietnamese died. 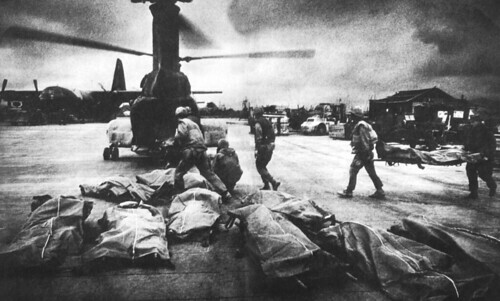 Sobering images like this one of soldiers loading their dead at the Khe Sanh airstrip fueled anti-war sentiment as U.S. involvement wore on. The last U.S. troops left Vietnam on March 29, 1973, in the wake of the cease-fire agreement engineered at the Paris Peace Accords. Two years later, Vo Nguyen Giap, the ruthless general who led the North Vietnamese guerilla army, toppled U.S.-backed South Vietnam. Giap died in Hanoi last month at the age of 102.